Get your child ready for a day at school by joining one of our fun, active and engaging Rise and Shine clubs. Not only will it mean you can avoid the morning rush as clubs typically start before 8am but your child will be active, energised, happy and ready for the day ahead. Taking part in sport is one of the best ways to help with concentration and behaviour we place a lot of emphasis on not just developing a child’s sports skills but on sportsmanship and conducting themselves in the correct manner learning to be good winners as well as losers. For details about available clubs and how to book, please visit the Book A School Club page. Giving your child the opportunity to join one of our lunchtime clubs ensures they will get the exercise they need whilst building confidence and learning new skills. With the pressures, every school now faces to make sure their children are achieving academically, we provide the perfect solution to guarantee they don’t miss out physically. Not only do our lunch clubs provide a safe, exciting and fun environment for your child to thrive in but schools tell us that a Sport Stars lunchtime club greatly improves pupil’s behaviour. 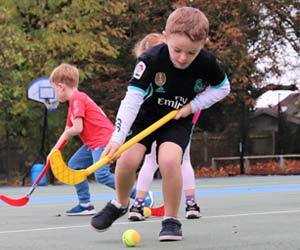 Sports Stars UK after school clubs are a great way for your child to spend a safe, engaging, active hour of sport in their school while providing you with that extra hour in the day hassle free. 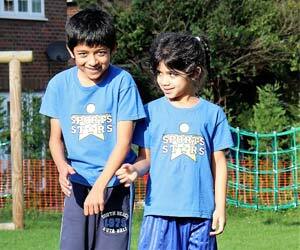 One of our fantastic coaches makes sure that your child ends the day having lots of fun and exercise. All that your child needs to do is stay at their school and we will do the rest. 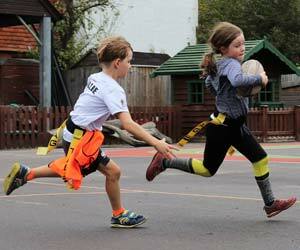 Our after school clubs are massively popular with schools, parents and children. If your young star is already a skilled sports star or just beginning to develop their skills they will love our sports clubs. For details about available clubs and how to book, please visit the Book A School Club page. Book a FREE Trial for your School TODAY.